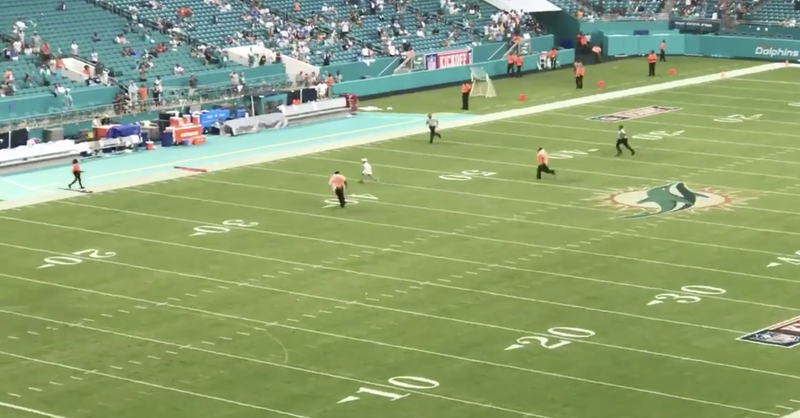 But one brave young fan is going to get some football, even if he has to run onto the field himself to make it happen. 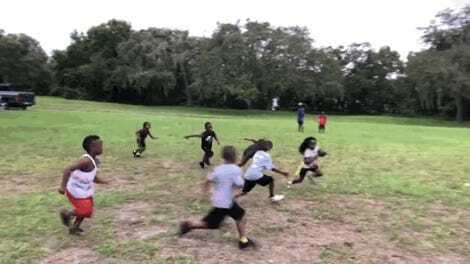 A small boy, reportedly around 10 years old, invaded the Dolphins’ field during the extended break in the action, doing his best to elude his defenders before sliding down on the sideline. Someone find that kid’s parents, and then give him a scholarship to The U.